Join Us This Winter for Fun Events! ​Click Below to Download a Calendar Format and January-February Brochure! Enjoy snacks, comic books, and the Superman movie “Man of Steel”! Movie rated PG-13. Create Duck Tape Wallets to take home with you at the Library! Materials will be provided. Recommended for grades 2-12. Registration is required. Drink tea, eat scones, and enjoy Episode 1 of the final Downton Abbey series! Prepare to be engrossed in the popular British drama. Recommended for an adult audience. Bring the whole family to craft your own valentines cards for friends and family! All ages welcome. Enjoy snacks and the movie adaptation of the popular John Green novel “Paper Towns”! Movie rated PG-13. Looking for fun activities to get out of the house during Winter Break, February 15-19? Come to the Library for events that get the whole family involved! YOU get to be Pac Man or a ghost! 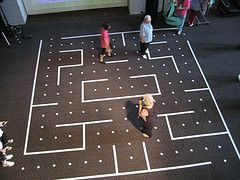 Come to the library to race against your friends and collect all the power pellets (and maybe some special power fruit!) before the ghosts get ya! Sign up at the library - Registration is Required! All ages welcome, bring the whole family! 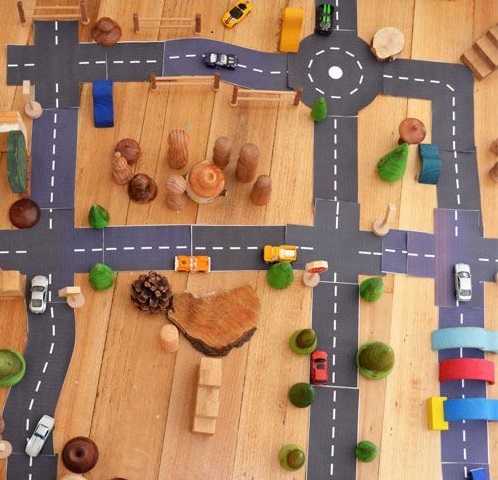 Bring your hot wheels cars and play with Build-Your Own-Roads! No sign up necessary! 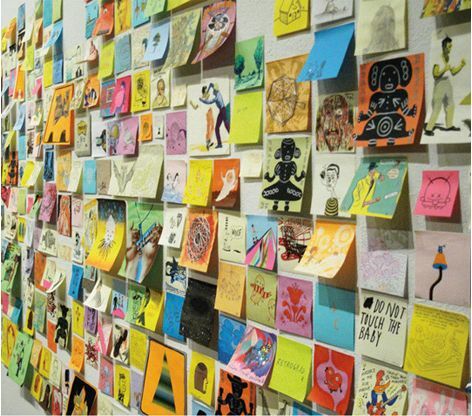 Create a miniature design, quote, or art on a Post-It note, and post it on our wall to create a mural! No sign up necessary! Enjoy snacks and the movie “Pixels”! Movie rated PG-13.